I arrived back from a week’s leave on Monday to find an advance copy of Bruce by Peter Ames Carlin sitting on my desk, absolutely begging to be read. This is where I should admit to being just a little bit of a Springsteen fan, so having the chance to read a new biography before the publication date was like having Christmas arrive early. Here was my dilemma though; I was already just over half way through a book. I don’t usually read more than one book at a time for two reasons, a) I get confused, and b) I always worry that I’ll put the first one down and never pick it up again. For 3 days Bruce sat next to my bed before I hit on a solution. The book I am currently reading is Parade’s End by Ford Madox Ford, a tetralogy of books. I had 50 pages to go in book two – No More Parades, so I figured I’ll finish book two, put it aside, read Bruce and then go back and read A Man Could Stand Up and The Last Post. Too easy, I thought… How wrong I was! I have never read anything by Ford Madox Ford and I will freely admit that the only reason I started Parade’s End is that along with my Springsteen obsession, I am also obsessed with Benedict Cumberbatch. 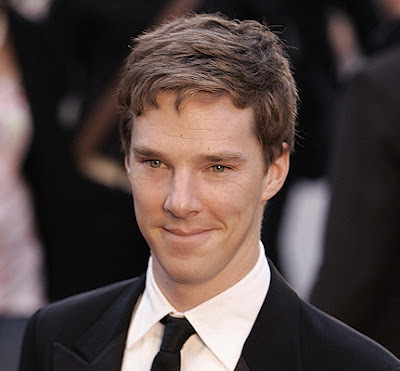 Benedict plays the lead character (Christopher Tietjens) in the BBC adaptation of Parade’s End and I am one of those ‘read the book before I see the movie’ people. I’d bumbled my way through what I had already read and to be honest, did not really understand everything that was going on. I even had to download a dictionary app to help me understand some of the words that no one seems to use any more, (‘congeries’ springs to mind) and was counting down the pages until the end of No More Parades. Then, I found it, that magical scene where you can picture exactly what the character is seeing and can imagine yourself there, right next to them. For me, it was when Christopher is being interviewed by General Campion in regards to the state of his (Christopher’s) marriage to Sylvia. His mind wanders and takes him back 19 months to where he is sitting on some tobacco plants in a field in Belgium, “waiting to point out positions to some fat home general who had never come”. The guy who owns the tobacco had screamed at him due to the ruined plants, in the distance he sees the dark lines of the German trenches and the “white puffs of cotton-wool” that existed on the dark lines – the Allied artillery practicing. He also sees “beneath the haze of light that, on a clouded day, the sea threw off, a shaft of sunlight fell, and was reflected in a grey blur….”, and of course as it happens during war, there are planes and shells and all of the horrid things that follow. Oh, I thought, this Ford bloke is actually a pretty good writer. I finished No More Parades and was then torn…. Carry on, or pick up Bruce instead? I read the first paragraph of A Man Could Stand Up, a paragraph that consists of only one sentence, but my, what a sentence! “Slowly, amidst intolerable noises from, on one hand the street and, on the other, from the large and voluminously echoing playground, the depths of the telephone began, for Valentine, to assume an aspect that, years ago it used to have – of being a part of the supernatural paraphernalia of inscrutable Destiny”. “Supernatural paraphernalia of inscrutable Destiny”…..I just love the way those words roll off the tongue. So as you may have guessed, Bruce is just going to have to wait – Christopher, Sylvia, Valentine and the (I now realise) brilliant writing of Ford Madox Ford win this round. I am so thrilled I had the courage to give Parade’s End a go – I’ve even gone as far as adding The Good Soldier to my wishlist.